The Dutch PHP Conference 2017 in Amsterdam is a PHP event I’ve been attending since 2008 (with 1 or 2 exceptions). I was there as a regular attendee, and not as a speaker this time. I spoke there on many occasions. 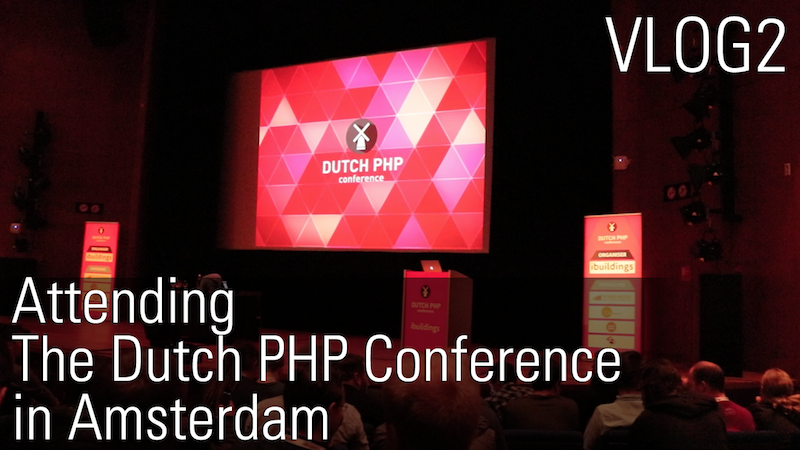 The Dutch PHP Conference edition 2010 was my very first international speaking gig. It launched my career as a public speaker and ever since I’ve been doing very well. I’m still grateful for the opportunity. Although I wasn’t selected as a speaker for the main conference, I did speak at the uncon about ProxySQL. I also made a vlog about the entire experience. You’ll notice that the episode does not start in Amsterdam. I had the idea to leave a day earlier and visit our offices in The Netherlands to meet some of my colleagues. Edition 2017 seemed very attractive to me: the speaker lineup was great and included a bunch of my community friends. So not only would I see great presentations, I would have the opportunity to hang out and chat with my friends. The keynotes by Juozas Kaziukėnas and Marco Pivetta were really good. I even managed to interview Juozas. I was also quite impressed by Rowan Merewood‘s Progressive Web Apps talk and by Bastian Hoffmann‘s microservices & Kubernetes talk. Another great edition of the Dutch PHP Conference. Now I need to remind myself to submit a presentation for next year’s edition. I have a keynote idea in mind, maybe I should work on that.